We are sold out of the first printing of Battle For Souls. 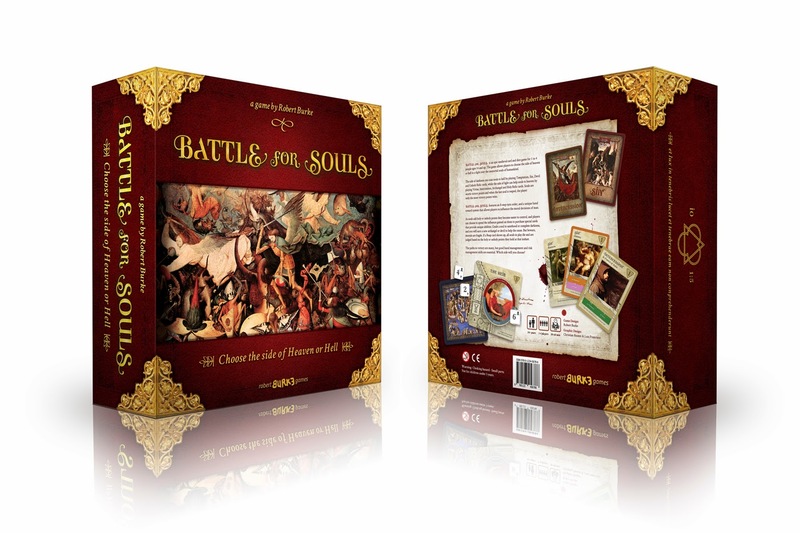 Your friendly local game store may have a copy, or check Coolstuff Inc.
Battle For Souls is a medieval card game that was developed as an answer to card games that the church in the 15th century considered "games of the devil". Although many of the rules have been lost to history, we have reconstructed them and hope to get this amazing experience to your gaming table. 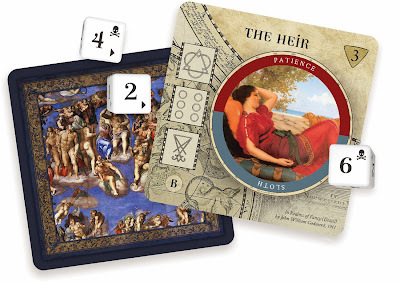 The game includes custom dice and over 200 cards featuring the art of masters like Michelangelo, Bosch, Rubens, Goya, Zorn, Rembrandt and many more. 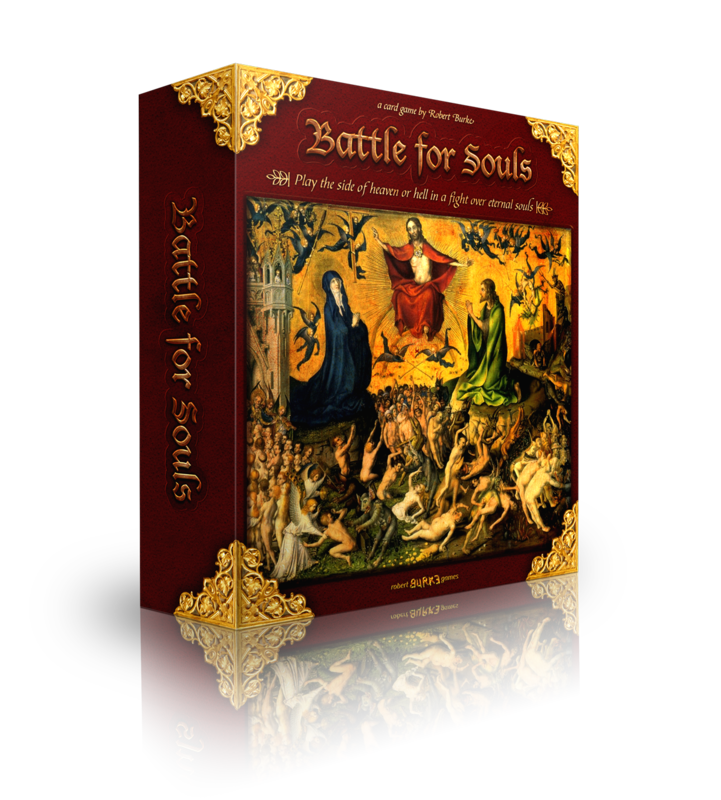 In Battle For Souls, players choose the side of heaven or the side of hell in a fight for the eternal souls of humankind. 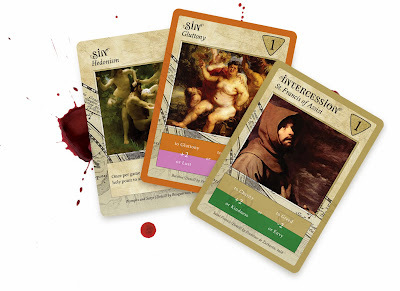 It's a tense game that requires good hand management and good risk management skills to be successful. See more about the game at Robert Burke Games, or at Board Game Geek. Or check out the Rulebook. any plan for a reprint? Hopefully will reprint this year.